The legendary Silvia Tampi, creator of “FUDOG Warriors” is celebrating CNY with a beautiful creation. 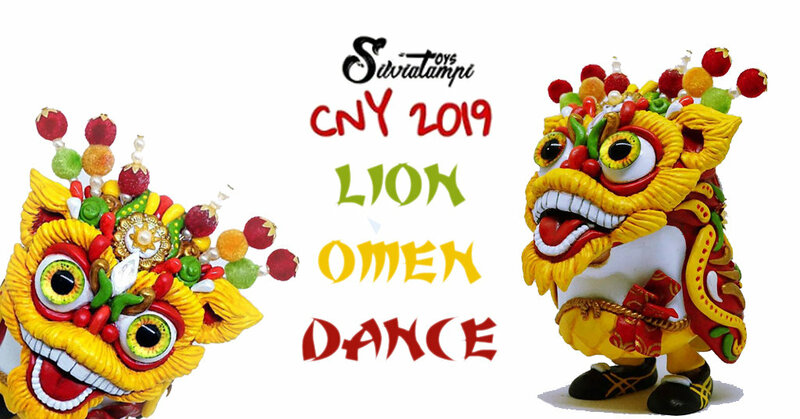 Using the famous omen by coarse toys as base, Silvia created a custom with CNY theme “Lion Dance”. The omens is now practicing practicing the lion dance for CNY celebration. wearing Lion Costume, new shoes and ready to shake shake his wings and dance along the music. If you want to get your hands on this beauty you have to DM Silvia directly on IG HERE.